Rockbridge - Third floor bed, bath and Recreation. MLS#2242047. 835. Rockbridge - 3rd Floor is Unfinished for storage! 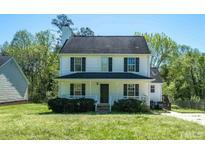 MLS#2242067. 835. Rockbridge - Two additional bedrooms and a spacious loft are located on the second floor. 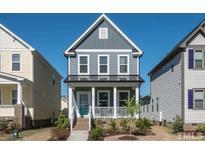 MLS#2242087. 835. The Village At Beaver Dam - Loft area great for media or office area. Enjoy the Community pool! MLS#2241882. 2034. 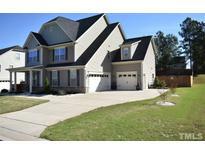 Covington Cross - Minutes from schools, Hwy 64 bypass, I-540, Knightdale Station park, great shopping and dining. MLS#2241835. 2034. Mingo Creek - Great house in a great location, near shops, schools and highways, new granite counter-tops in the kitchen and bathrooms, new stainless steel appliances, new AC unit, new flooring throughout the house, new kitchen sliding glass patio door, new plumbing fixtures and sinks in the kitchen and bathrooms, fresh paint inside and out, bonus a nice deck to the backyard and indoor fireplace and more.. MLS#2241954. 4118. Princeton Manor - This home sits on a .30 acre lot and includes upgraded recess can lights, Granite tops in the Kitchen,Under cabinet lights, Walk in 5' shower at master and many other niceties! MLS#2241659. 2714. MstrBth: Tile, White Painted DualVanity w/Granite, Huge Tile Srrnd shower w/Bnch & Transom! Family Room: Granite Srrnd Fireplace w/CstmMntle! MLS#2241451. 1128. Carrington Woods - Close to downtown where a nice park is located, a splash pad/water park is coming MLS#2241464. 2582. The Village At Beaver Dam - Laminate Hardwood, Dining & seperate. Eat in kitchen w/ Granite Counter Tops. MLS#2241174. 3236. Princeton Manor - 2 Story Ceilings in Family room. Screened porch off Family room MLS#2241262. 1265. Princeton Manor - All this in an amenity filled neighborhood. MLS#2240819. 2016. Amber Ridge - Easy Access To 540. Minutes From All Major Roads. MLS#2240941. 5194. 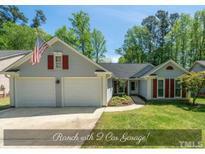 Churchill - FULLY FENCED Yard w/ Screened In Porch. Won't Last Long! MLS#2240621. 4381. Fresh paint, new carpet, high-tech vinyl flooring throughout, all new granite counters, recessed lights, subway tile backsplash, soft-close cabinetry, and new slate appliances; new full-size washer/dryer; new light fixtures w/ ceiling fans throughout; marble fireplace in living area, large master suite w/ Walk in Closet; professional landscaping; entertain on your deck and enjoy the private, landscaped yard. MOVE-IN READY! MLS#2240741. 5061. Brookfield Station - Min to restaurants, shops and I-540. $1000 paint allowance MLS#2240420. 513. Covington Cross - 2 additional bedrooms and full bath. Attached storage in backyard. MLS#2240489. 297. Mixed use, coffee shop, restaurant, multi-Family! ! MLS#2240336. 1752. Churchill - Fenced yard w/ wooded back views. MLS#2240051. 4883. 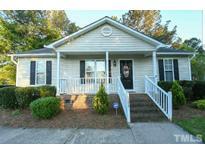 This home is part of the Planters Walk Of Knightdale Community Association Inc. MLS#2240049. 4823. 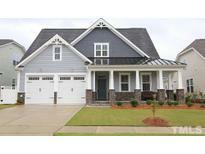 Princeton Manor - One showing in this beautiful listing at Peachtree Town Lane and you will feel at home! 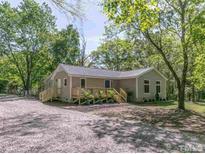 MLS#2239937. 4820. Langston Ridge - Dont miss the opportunity to live in this great community. 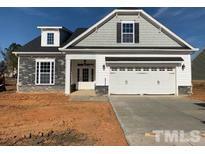 MLS#2239963. 4645. Family Room: Limestone Srrnd Fireplace w/CstmMntle & CeilngFan! MLS#2238678. 1128.